Motor Yacht BLACK DIAMOND is an impressive 64-metre party yacht, with a fantastic beam of 14 metres, allowing for plenty of space for various events, celebrations and gatherings. 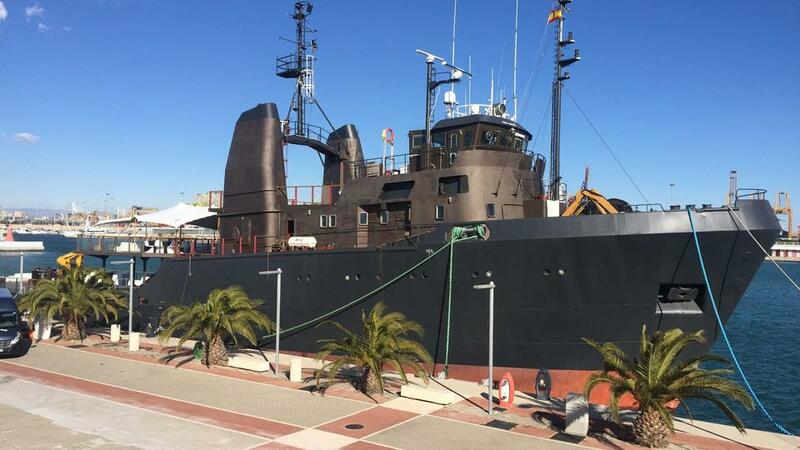 She is a 1975 supply vessel, converted into one of the largest event party yachts in 2014/2015. 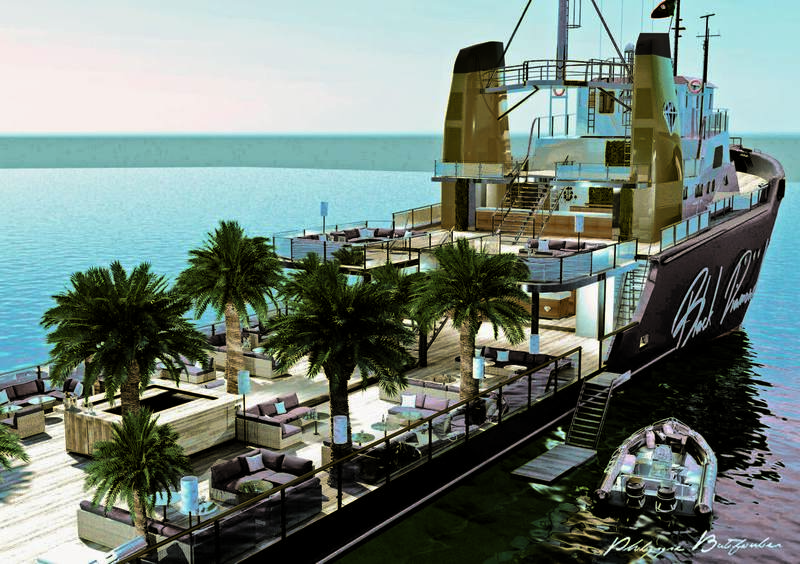 BLACK DIAMOND is an alfresco party boat, which means that she is far heavier on deck space than on cabins. 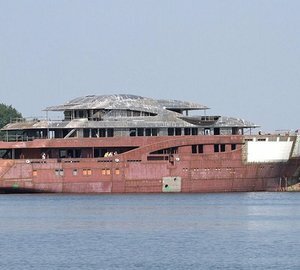 Designed for corporate or private events for up to 450 people, she offers a single cabin for two people, but three separate reception areas, a massive 365 sq.m main deck lounge, a fine dining restaurant of 220 square metres located on the bridge and a 72-square metre VIP area on the upper deck. A total of 700 square metres of area is perfect for large events or celebrations, including Cannes congress, Monaco GP, Film Festival, corporate entertainment or private parties, weddings or birthdays. 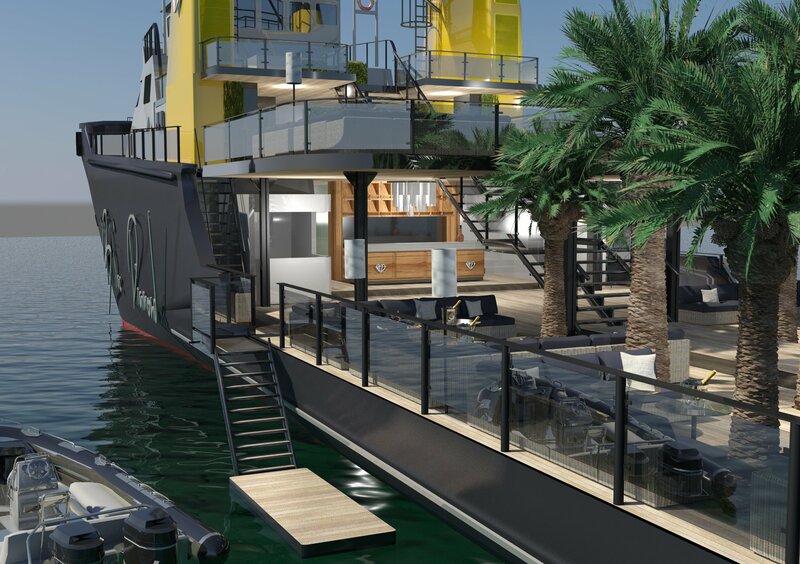 BLACK DIAMOND also operates as a floating night club in Ibiza and the French Riviera, capable of accommodating up to 450 guests at anchor or at quay on 3 levels. 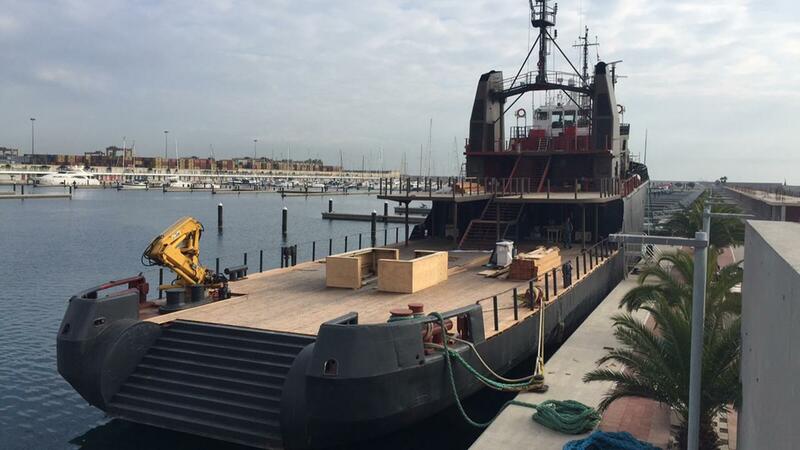 All areas of the yacht can be transformed or personalised as per client’s requirements. 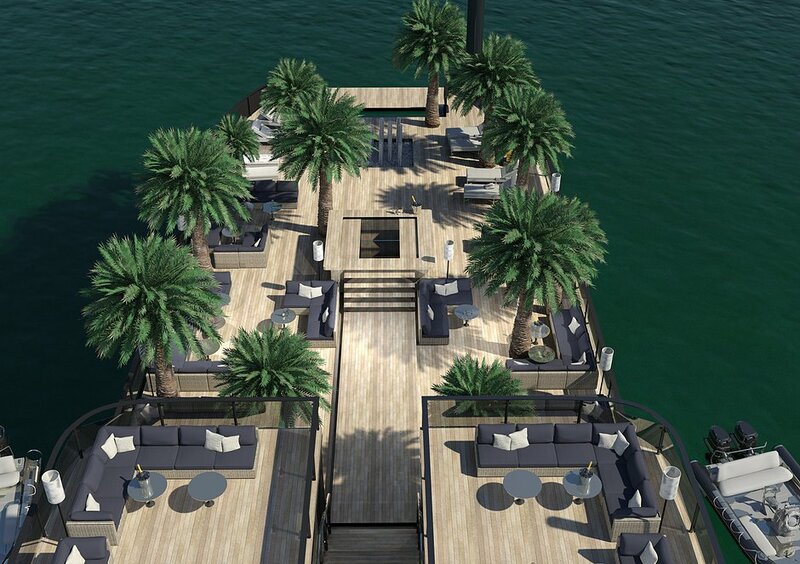 The main deck provides a 365 square metre lounge area from the aft deck to the foredeck, with at anchor access to the yacht by the two lateral accesses with the two tenders for 20 guests each. 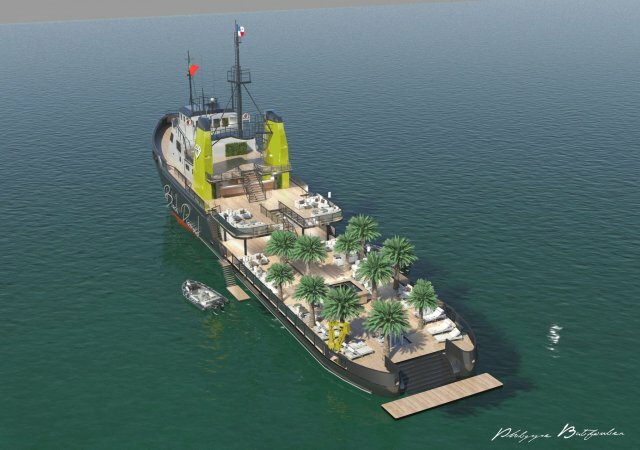 There are also four external showers, two bars, one fixed podium on the centre of the deck, which can be lengthened if required, two movable welcome decks, one fixed reception area on port side, two boutiques/offices with areas of 18 sq m and 12 sq m and glass windows, two toilet areas for women & men. 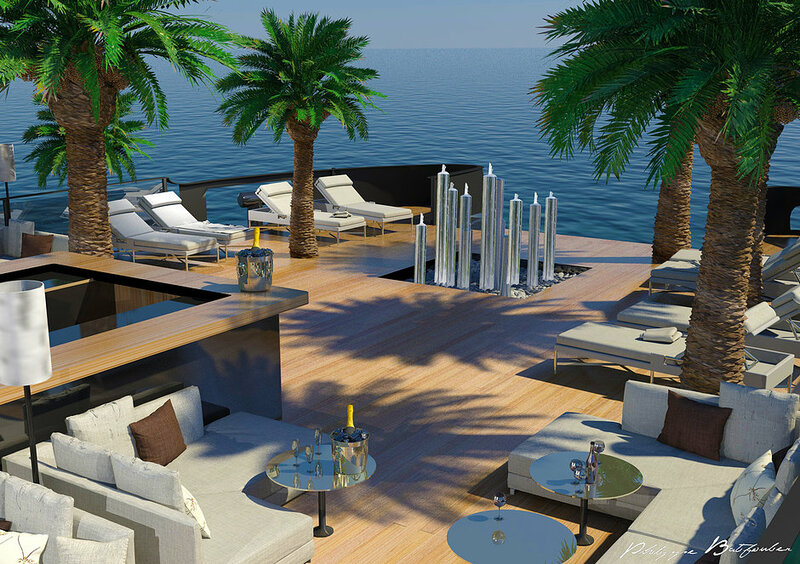 All tables, chairs, sofas, sunbathing areas, palm trees and the entrance fountain can be moved. 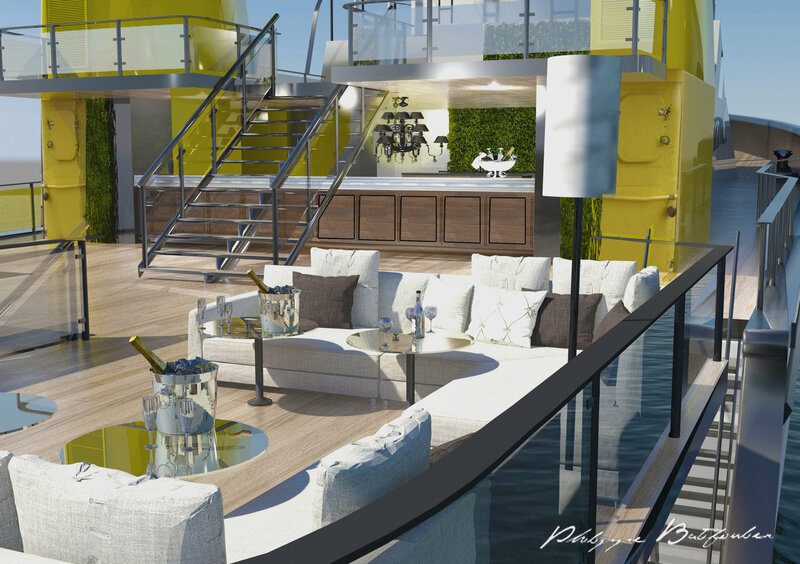 On starboard side there is an area for client’s staff, with a galley, mess and four twin cabins for staff of 8. On port side there is one VIP double guest cabin of 25 square metres. The upper deck, for parties and events, has a fantastic restaurant area of 220 square metres, it includes ten tables for 8 guests each, an open kitchen and four twin cabins only available for crew members. 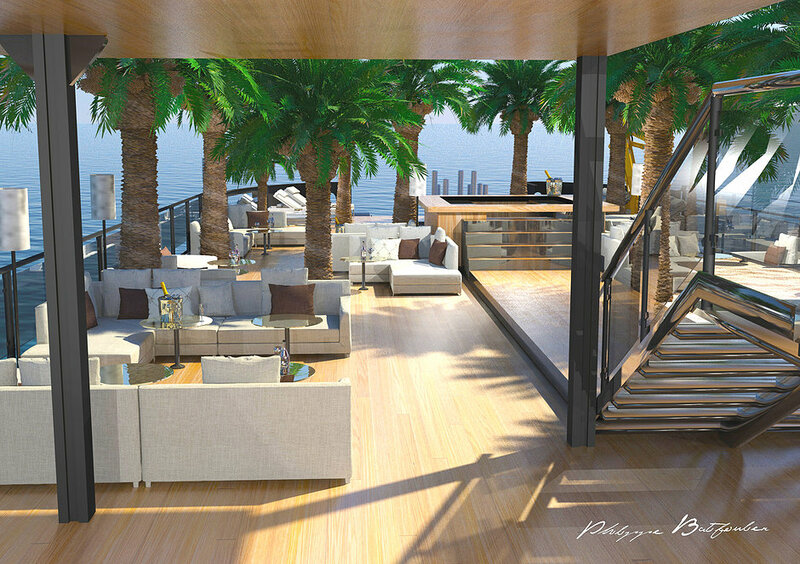 The sun deck has a large 72-square metre VIP area with a fixed bar. All the furniture for sitting areas is transformable according to guests desires. A plug and play DJ platform is located between the two funnels. Powered by Stork Werkspoor engines of 4000hp each, she has a cruising speed of 10 knots with maximum speeds of 13 knots. 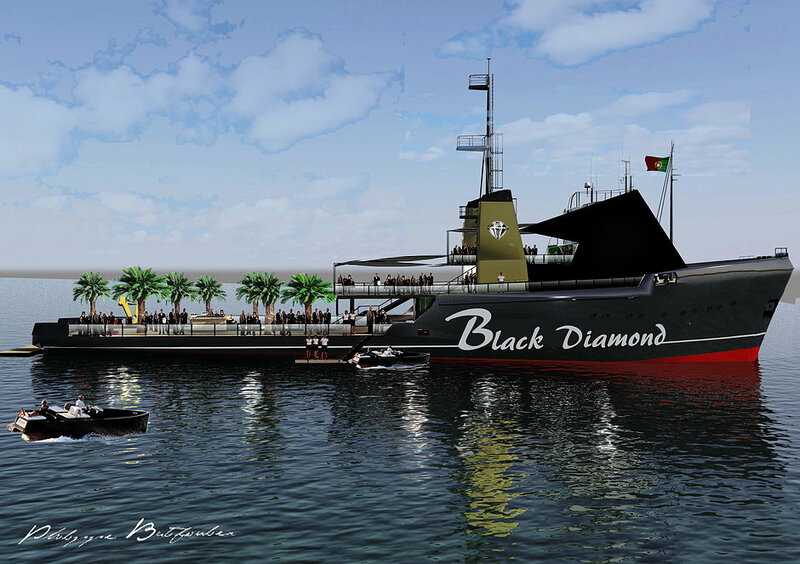 Black Diamond is able to accommodate up to 450 people at anchor or at quay on 3 levels during events and celebrations. 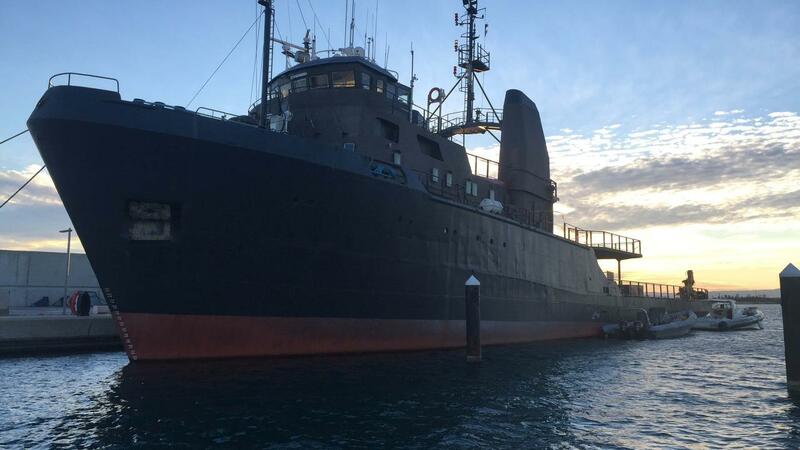 She has 1 cabin that can accommodate 2 guests comfortably. There are two tenders able to carry 20 guests each.